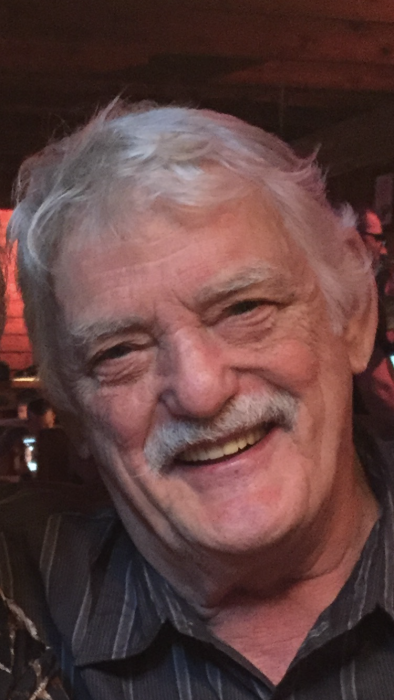 TYNGSBOROUGH – Paul H. Arseneault, age 77, a longtime resident of Tyngsborough, passed away on Monday, March 25, 2019 in the presence of his loving family. He was the beloved husband of Sandra F. (Lavigne) Arseneault, with whom he had been married for 52 years. Born in Lowell on December 30, 1941, he was a son of the late Arthur and Alma (Pare) Arseneault. Paul was the owner and operator A-Plus Construction for many years. He loved driving and being a part of his two sons bands for the last 20+ years with only missing a few shows throughout those years before falling ill. You could always hear him say in the crowd “those are my boys” to everyone he met. He was an avid New England sports fan and enjoyed watching football while wearing his Patriots hat and Tom Brady Jersey. It didn’t matter if he was building houses, building decks, finishing basements or giving someone a ride, he was always there to lend a hand and never wanting anything in return. He enjoyed going to breakfast regularly (sometimes twice a day) at Geno’s in Dracut. No matter where he went, he was always the life of the party and made his presence known and everyone knew him as “Pepere”. He absolutely adored his family and loved them unconditionally. He was one of a kind and will truly be missed. Surviving him in addition to is wife are two sons and two daughters in law, Michael P. and Tammy Arseneault of Hudson, NH and Keith and Sherry Arseneault of Tyngsborough; two grandchildren, Ryan Arseneault and Kaitlyn Arseneault & her fiancé Nicholas Metros; two step grandchildren, Daniel Arseneault and Jenna Collinge; three brothers and three sisters in law, Robert and Sylvia Arseneault of East Hampstead, NH, Ronald and Denise Arseneault of Lowell and Richard and Anna Arseneault of Pelham, NH; also many nieces, nephews, cousins and dear friends. He was also the brother of the late Edmund, Roger, Normand, Lorraine and Jeanne. ARSENEAULT – Paul H. Arseneault. A Celebration of his Life will take place on May 18th 2019 from 4pm – Midnight at Tyngsboro Sports Center, 500 Potash Hill Road. All are welcome to come by and share your stories about Pepere’. For online condolences please visit www.tyngsborofuneralhome.com.